Every aspect of planning a wedding day takes a lot of planning, from the wedding favours to the wedding dress, colour scheme and the vibe you want at your wedding. Over the years we have been photographing weddings we have seen all sorts of different styles, vibes and ways to do a wedding. They are all unique in there own ways and every wedding has suited the couple who has created it. We love to help our couples with any ideas we may have seen along the way, and see what might fit their style of wedding. We love getting to photograph all the different things that you come up with. 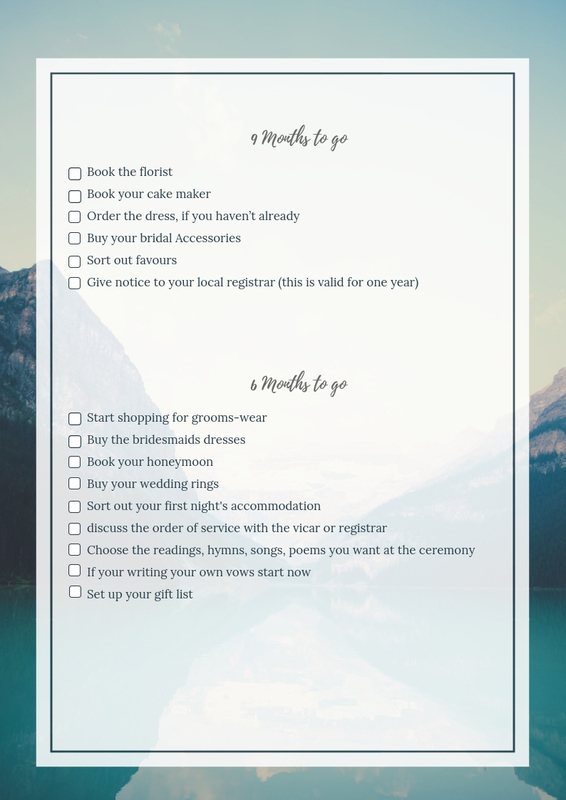 We have supplied a wedding checklist which I hope helps you to plan every aspect of your day and that it makes the job a bit easier.